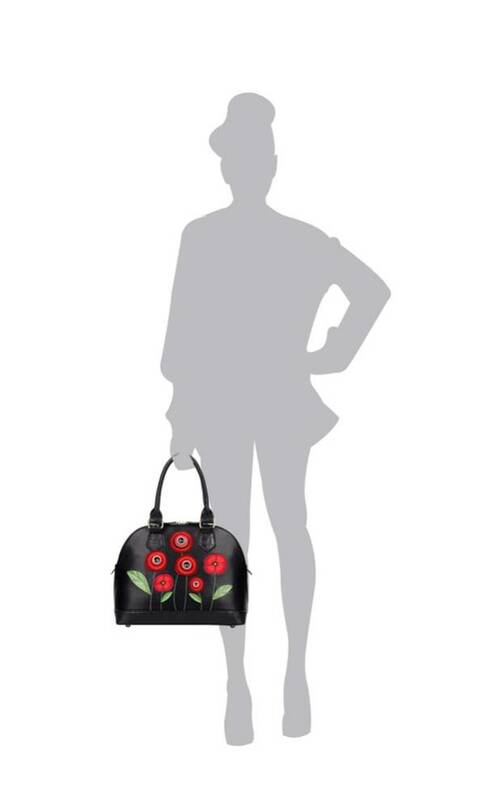 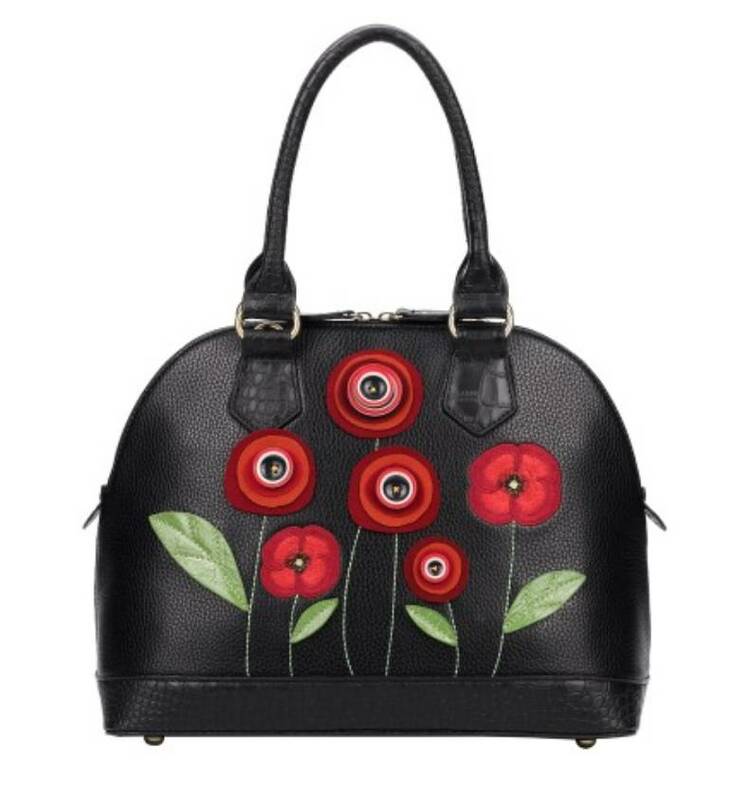 Gorgeous 3D poppies on a chic black background feature on our spacious Maisy Bag, a classic curved handbag style with a striking modern feel to the design. 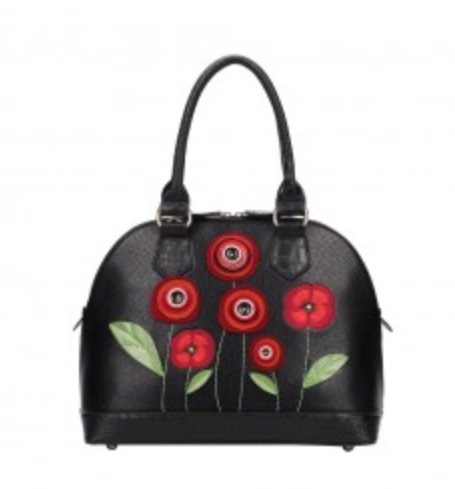 The poppies and leaves are created using appliqué fabrics and detailed embroidery, with buttons in the centers of the flowers. 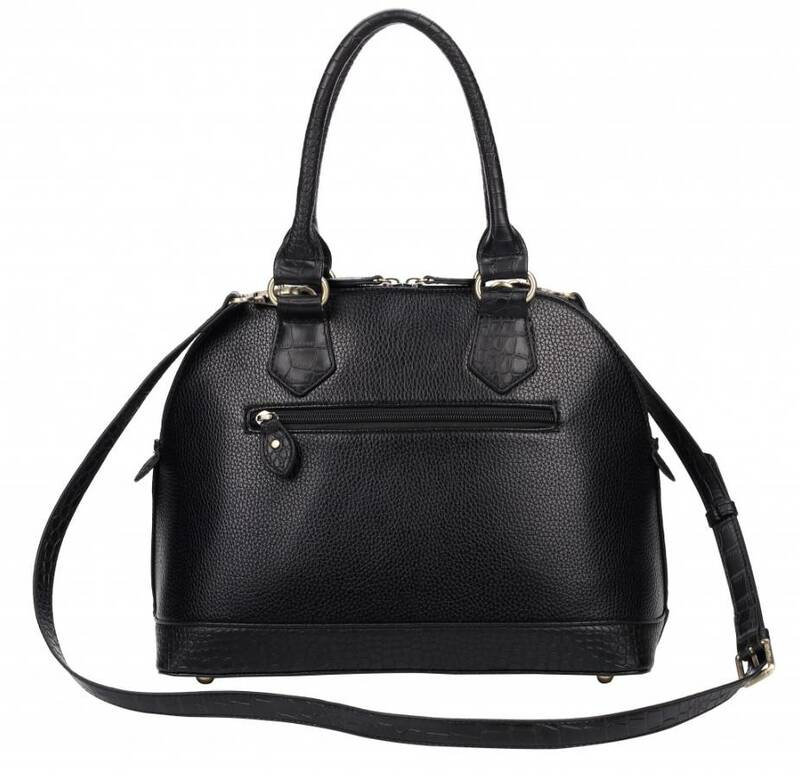 The bag has a faux snakeskin style bottom and handles.